This article is by Irina Verenikina, Senior Lecturer in Educational Psychology, School of Education, Faculty of Social Sciences; Early Start Research Institute at University of Wollongong. It originally appeared on The Conversation. 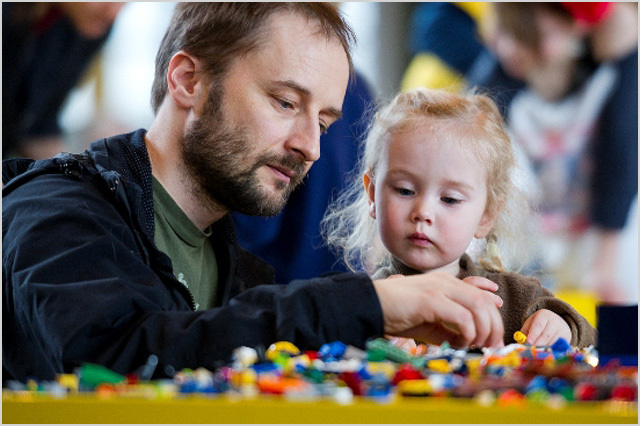 analysis Playing with building blocks such as Lego has been an established part of early childhood education for many years. Educators and theorists agree that building blocks or constructive play provide a wide range of avenues for enhancing learning and development in the early years, but the increased availability and accessibility of mobile digital technologies has seen children more frequently engage in virtual or “digital” play, often leaving behind traditional forms of play with physical objects in physical spaces. So what might children lose – or gain – during this transition from physical to digital play? Lego, the best known producer of building block toys, recently announced Lego Fusion, a range of specially designed digital products that will allow to incorporate physical build blocks into digital games on iOS and Android devices. It isn’t Lego’s first foray into the digital realm – its videogame series has been highly successful commercially over the globe. But this is the first range of Lego products to require both physical and digital components to operate, and shows the ongoing move away from physical toys and towards digital. Children are hands-on learners, eager to engage in activities which involve object manipulation. Physical manipulation of wooden or plastic blocks of different shapes, sizes and colours attract children’s attention and engages them in physical activities. It also helps the development of children’s fine motor skills and eye-hand coordination. Most importantly, though, it stimulates their imagination and creativity. In playing with building blocks, children enjoy creating, experimenting and being in control. They engage in make-believe using the blocks for creating castles, trains, planes and other things only limited by their imagination. The open-ended nature of the tasks, endless choices and possibilities rendered by building blocks spark children’s creativity – making imagination the key. This type of constructive play contributes to the development of problem solving skills and thinking of multiple solutions. Assembling toy blocks in various shapes and figures in a three-dimensional space also stimulates children’s spatial ability and mathematical thinking. Since digital technologies entered the realm of children’s learning and play, some educators and families have enthusiastically encouraged children to explore these technologies. Others see them as potentially harmful to child development. The proliferation of digital technologies in the everyday lives of modern families has stimulated an increased market of software aimed at young children. The advantages of digital play are yet to be fully understood. Recently my colleagues and I were awarded an Australian Research Council (ARC) Discovery Grant to further conceptualise digital play and understand its role in children’s development. Nowadays children spend a substantial amount of their time playing games on the computer or other digital devices, and building block games form a significant portion of these. Games such as Minecraft allow children to construct anything they can imagine (even spaceships). Project Spark, an engine that allows anyone to create their own game for others to play, was recently launched on Xbox One. Similarly, games aimed at an older audience, and not built on a building block principle, often include the ability to create your own game modes or maps to share with people around the world. There are a number of advantages digital play has for children’s development which are not possible in traditional play with physical toys – the first and most obvious being mobility. Children’s digital play is not limited by the availability of space, time or physical resources necessary for physical block play. Children can engage in digital play at their leisure at any time and place, which leads to its increased use. The ease of manipulation of digital blocks as compared to the physical version of the game provides extended opportunities for creating exciting and creative items. The possibility to save and share their digital “products” with other players open significant possibilities for communication. Despite its advantages, there are a number of limitations associated with digital play. In relation to digital building blocks the physical side of this construction play activity is missing. Crucially, this means that children’s learning experiences are limited as they are not engaging all the senses – the tactile sense (or learning by touch) is missing. Prioritising digital play over physical could limit children’s learning by taking away an important dimension of physical play – learning by touch in a hands-on manner. This is often the preferred way of learning for young children. Lego Fusion might be a step towards solving this problem (at an additional cost for the families of young players), but the idea of mixing digital and physical play is not new. It might be innovative technologically, but from pedagogical point of view it is old news. Since the first introduction of digital technologies in the early years, classroom educators have recommended combining digital and traditional resources. Mixing the digital and physical worlds and moving freely between the two is what children do naturally. This has been demonstrated in our own research with iPads, digital play and pre-schoolers, where playing Pocket Pond – for example – prompted a child to build a real fish pond in his backyard. Ensuring access to both physical and digital methods of building block construction where children can move freely from one to another is crucial for their development in the early years.